It’s not often that an established region can say, “There’s a new kid in town,” but the buzz about the Skyway Marina District shows that even a metropolitan area like Tampa-St. Petersburg can reimagine portions of itself. Nestled just five minutes from St. Pete Beach, the district has everything: shopping, residential, access to higher education, high-end parks and recreation – and more! Billed as “St. Pete’s newest business district,” it’s situated at the southernmost part of St. Pete bordering the Interstate at the city’s last I-275 exit. While “mixed use” zoning sometimes implies less-than-family-friendliness, that label doesn’t apply when the mixed use in question is upscale (think: marinas and waterfront restaurants) and includes proximity to cultural and recreational landmarks such as Eckerd College and Fort De Soto Park. The two neighborhoods closest to the marina – Broadwater and Maximo – each sport about 50 percent of their houses on the water. But even homeowners without waterfront property would still enjoy the convenience of having a marina in their backyards. Not to mention an incoming restaurant – The Getaway, already a popular Gandy Boulevard dining spot, is planning a $1 million remodel in the Maximo Marina reportedly to be open by Thanksgiving. 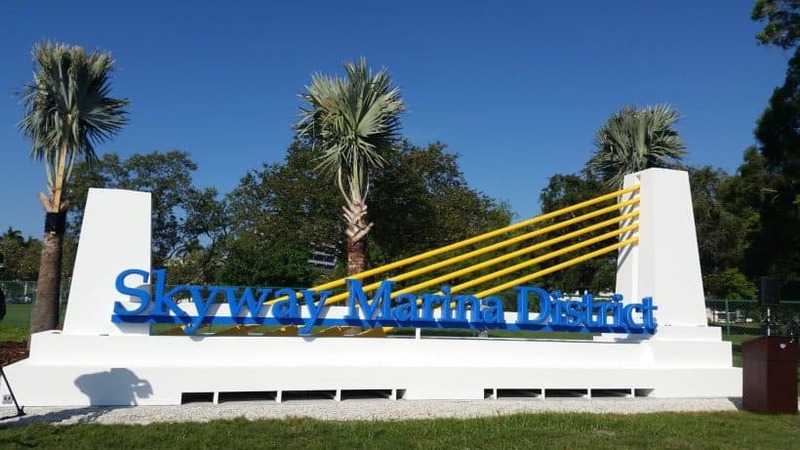 According to DestinationTampaBay.com, $70 million is poised to pour into the Skyway Marina district, compliments of investor-backed construction firms. So who might be tempted to try out new digs in the new district? Anyone who wants to be in on the ground floor of an up-and-coming area, for one. And families pushed out of downtown St. Pete because of sky-high housing costs will find attractive alternatives here as well. But perhaps the best reason to seek a foothold in the Skyway Marina District is that it looks to be a great investment. First of all, starting with the region as a whole, you can’t go wrong buying a home here. (Nothing is impossible, but you’d have to work very hard at making a mistake!) In studying which US cities make for the smartest home-buying investments, Forbes magazine teamed up with Local Market Monitor, a North Carolina-based company that tracks more than 300 housing markets. Coming in at No. 7: Tampa-St. Petersburg because, last year, home prices rose by 9 percent and jobs by 2.6 percent. With an average home price of $231,000 – below the US average of $268,000 – the analysis finds all indicators pointing upward. Our region’s ranking puts it ahead of other fast-growing cities such as Nashville, Fort Worth, Charlotte, Las Vegas, Sacramento, San Diego and several others also on the Forbes Top 20 list. And, in a separate report, Forbes staff writer Karsten Strauss has Tampa topping the list of “10 Cities Americans Are Moving To Right Now.” Not only is the median home price hard to resist, but also the unemployment rate of 4.4 percent provides a compelling come-hither factor. Now let’s look at some of what makes the Skyway Marina District so appealing. Nearby Fort De Soto Park deserves more than just a mention. Not only is it geographically impressive with its chain of islands comprising 1,136 acres, but it also offers a diversity of bird, sea and plant life practically unparalleled on Florida’s West Coast. Campsites, picnic shelters, nature walks, boat ramps and more make it a draw for daily living as well as an environmental showpiece that will enthrall your out-of-town guests. Access to all points on the compass is easy and quick. Downtown St. Pete with all of its cultural amenities is just 10 minutes away. Hop on the Skyway, and you’re soon in Manatee County. Downtown Gulfport with its fabulous restaurants is close, too. All the major thoroughfares are within range: U.S. Highway 19 (34th Street) with its six travel lanes as well as main drags 54th Avenue South and Pinellas Bayway. With “location” being the premier real estate mantra, it’s vital to note that a dozen surrounding neighborhoods are already in place, and many have waterfront homes at reasonable prices currently on the books. 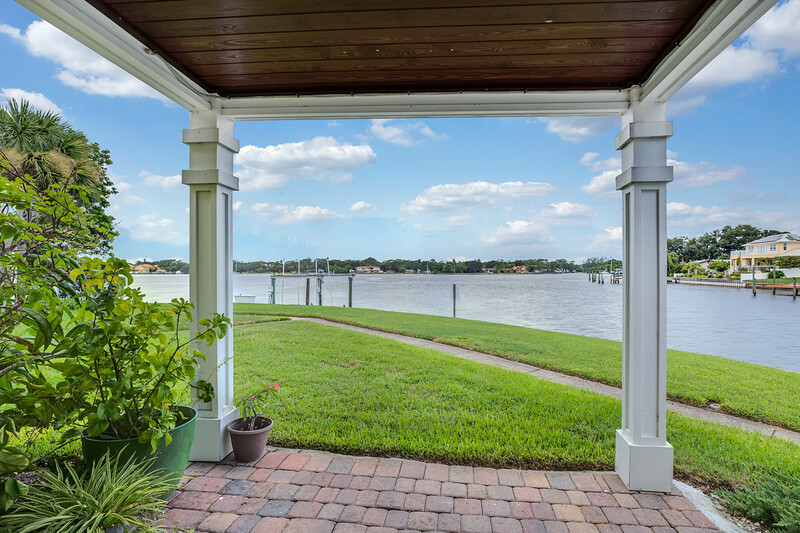 In addition to Broadwater and Maximo Moorings, neighborhoods adjacent to the Skyway Marina District include Lakewood Estates, Greater Pinellas Point, Clam Bayou and Perry Bayview. St. Pete’s city government is bullish on the district and thus is offering support in the form of business assistance promotions and transit incentives. A new Publix just opened, and surveys show that more retail outlets and restaurants have a customer base to support them and are likely on the way. Is it possible the district is also calling your name? If so, give me a shout! I’ll be glad to fill you at greater length and show you around, or if you have a home to sell, let’s talk! !